One advantage of Google Maps is that I finally have a map with enough detail to show me exactly where I was on my travels over twenty years ago. Places in France like Bénesse-lès-Dax or Condat-le-Lardin; I’ve always known which train lines they’re on, but I’d never seen their exact location. Now I know. I may not have known exactly where I was, but I knew why I was there. 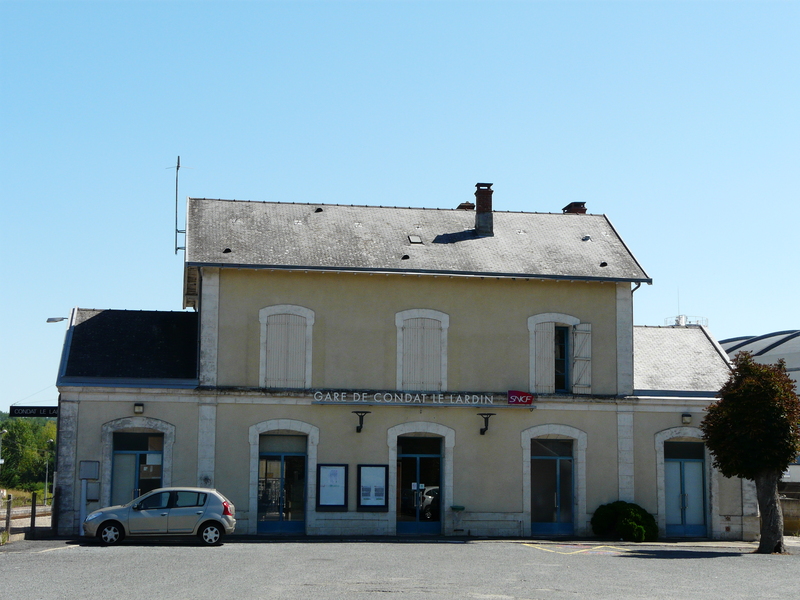 Condat-le-Lardin is the closest train station to Lascaux, a series of caves in the Dordogne, containing paintings estimated to be over 17,000 years old. The caves were discovered in 1940 by 18-year-old Marcel Ravidat, and were found to contain images of animals, human figures, and abstract signs. The range of animals includes expected creatures such as stags, bulls, horses, bison, and birds, as well as members of the cat family, a bear and a rhinoceros. The caves were finally opened to the public in 1948, but as visitor numbers climbed to over 1,000 per day, the paintings were noticeably deteriorating. It was concluded that the carbon dioxide released by guests, the changes to air circulation and the strength of the light were all factors in the degradation. The caves were consequently closed to the public in 1963, with access allowed to only a chosen few per week. This was subsequently reduced to one staff member for twenty minutes once a week to measure climate changes. Unfortunately, restricting access has not eradicated the problem, with a white mould spreading in 2001, and a grey and black mould detected in 2007. 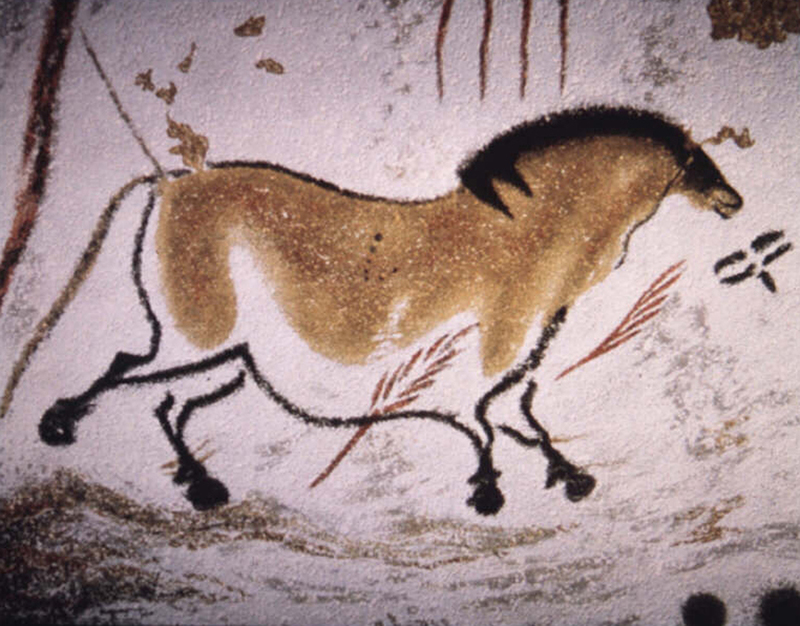 A replica series of caves called Lascaux II was opened in 1983. This contains a reproduction of the Great Hall of the Bulls and the Painted Gallery, and is located 200 meters from the entrance of the original cave. This replica was as close as I made it to the original caves, but the impression created in Lascaux is so realistic, you soon forget that these aren’t the real thing. It isn’t important that this isn’t the original art that was worked on so many thousands of years earlier, and those aren’t far away. We’ve been left with stunning snapshots of life 17,000 years ago and of people who wanted their stories recorded. My lunch stop for the day is in Montignac, a half-hour’s walk away, where I discover that the local version of chocolate croissants known as chocolatines are very generous in their inclusion of chocolate. It’s absolutely delicious, and though chocolatines may not be a discovery on the scale of Lascaux, they go very well together and I’d strongly recommend both. No-one is around to give me any grief, so I take a second helping. Over the next two months, chocolatines become my snack of choice, in my private quest to find the best in South-West France. Some come close, but none can better Montignac. A trail of pastry crumbs follows me to Sarlat, with its old quarter seemingly untouched since the Middle Ages. With lanterns lining winding cobblestone lanes and buildings the same timeless shade of ochre, it is considered one of the towns most representative of 14th century France. I’ve read that the street market on Saturdays and Wednesdays at the Place des Oies can be one of the biggest in France, but I’m here on a different day, and out of peak season. The town’s medieval square is today populated by one dog, who does not seem to be expecting any traffic. 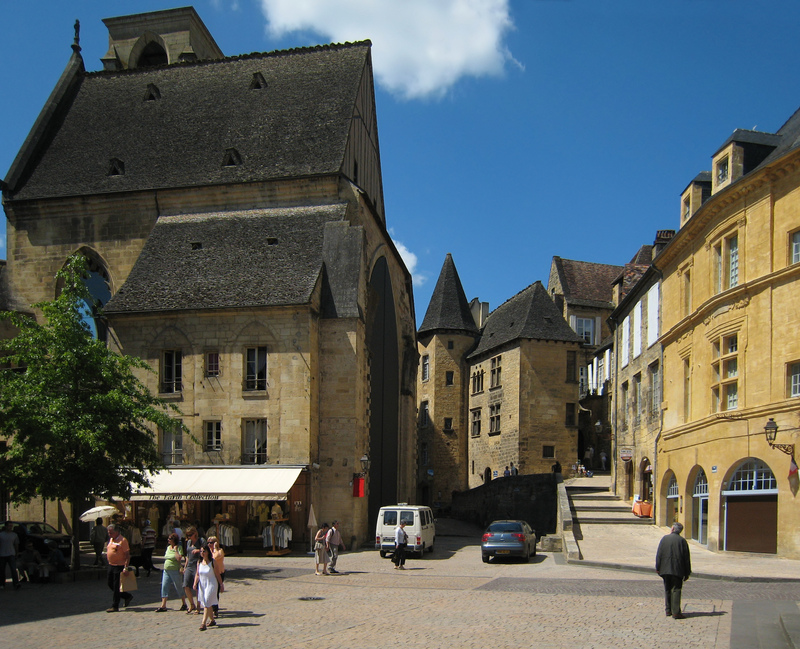 Sarlat become an episcopal see in 1317, and construction of their Cathedral, dedicated to Saint Sacerdos, soon began. Most of the current structure is from the 16th and 17th centuries. 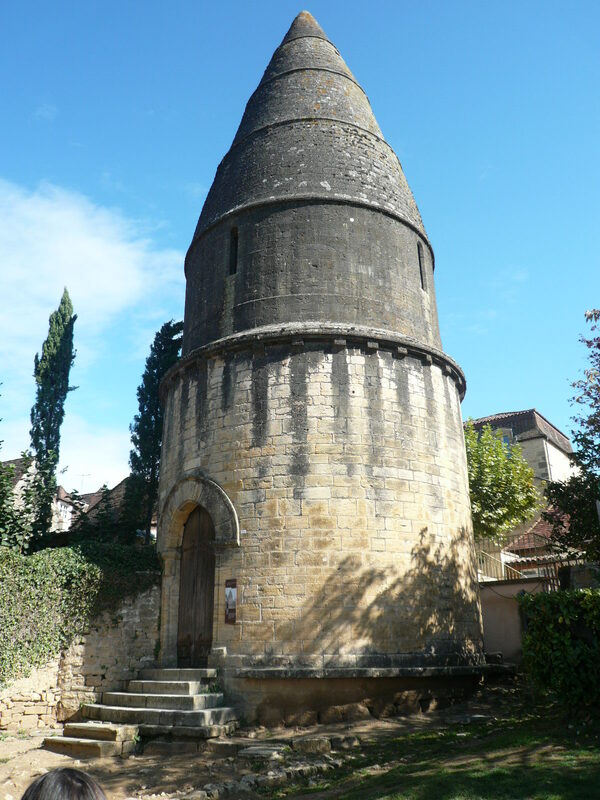 In the shadow of the Cathedral stands the Tower of Saint-Bernard, better known as the Lanterne des Morts (Lantern of the Dead), supposedly the oldest structure in Sarlat. 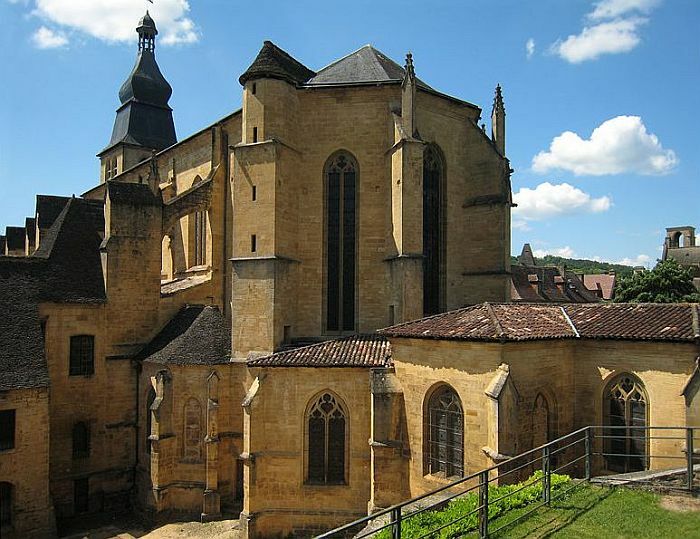 The story is told that in 1147 Bernard de Clairvaux, later St Bernard, was passing through Sarlat on his return from the crusades, and couldn’t help but notice that the town had been struck with the black plague. He gathered the survivors to say a mass and bless several loaves of bread, and proclaimed that “whoever eats of this blessed bread will be saved!” The plague was gone within the week, and the Lantern of the Dead was built in memory of St Bernard and the miracle of the healing bread loaves. 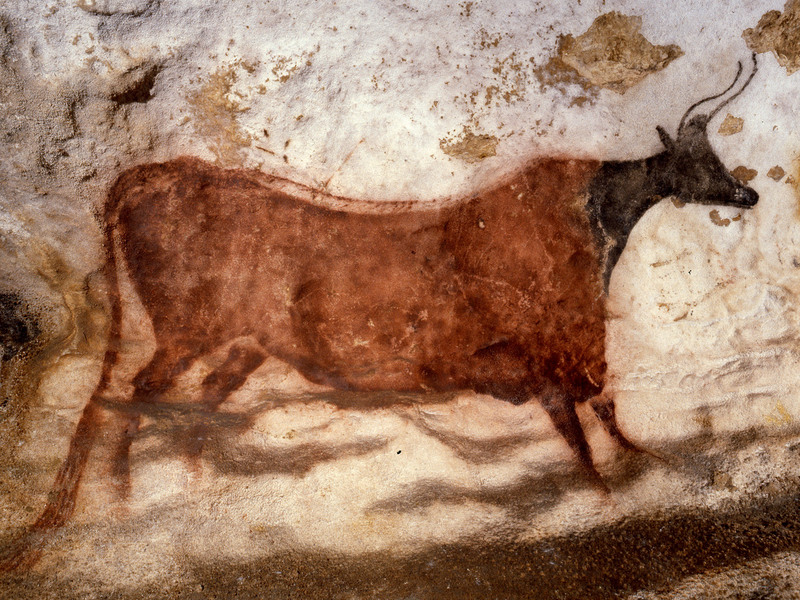 This entry was posted in Travel and tagged cave paintings, chocolatine, condat-le-lardin, france, lanterne des morts, lascaux, montignac, sarlat, travel. Bookmark the permalink. Thank you for the tour with some interesting history. 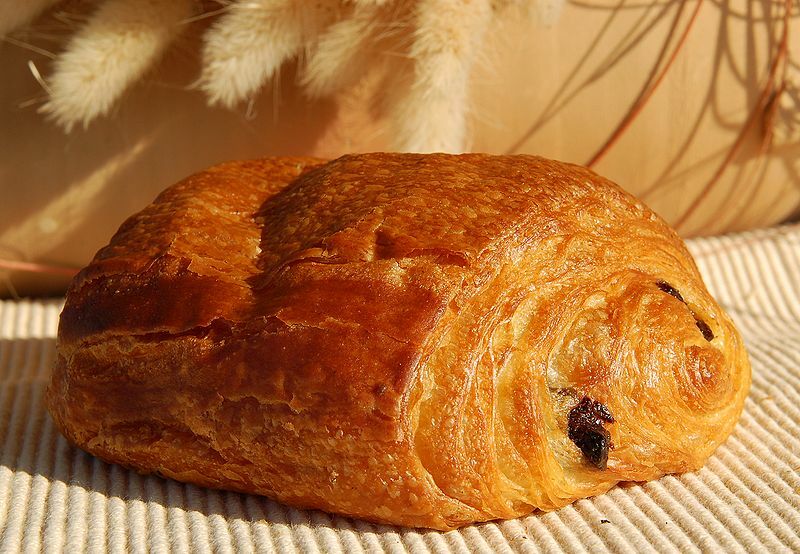 I love the pictures, but did you really have to include the chocolatine? I am in Honduras where I can find no such delectable pastry to satisfy the cravings I now have. I would have gone for the second helping just the same as you! The chocolate was the whole point! The cave paintings, the medieval town…that was all secondary to the chocolate. Those chocolatines were over 23 years ago, and if I can still remember how good they were, they must have been fine! Love those paintings! They are so real and yet nobody believed that. Aren’t this happens so often in our life? Obvious things seems unrevealed to us. Thank you for review. Such beautiful photos! Thanks for sharing, I added this place on my list now 🙂 ! You won’t regret it! Sarlat is beautiful. As are lots of other places in the Dordogne. Great photos – I have been to Bergerac in the Dordogne region. Thanks, too, for visiting my blog. Thanks – sadly my old photos aren’t great, so I’ve tried to share photos that don’t breach copyright. The words, the experiences and the memories are all mine.